If you got your staff or board together and asked them to write a few sentences about what your organization does, it’s likely you might get a variety of different answers. It’s very important that all your staff, board, and volunteers know what your organization does and that they are consistent with their messaging. This is something that should be covered in an orientation (you should have an orientation for your board members and volunteers, too) and revisited periodically. A 30 second pitch about your organization is often know as an elevator pitch. If your organization doesn’t have a written elevator pitch, you need to create one as soon as possible and make it available to all staff, board members, and volunteers. Creating one as a group can be beneficial. 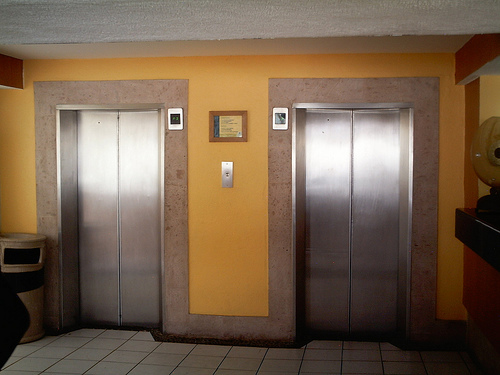 Elevator pitches should be short and conversational. Keep the following in mind – who are we, what do we do, how do we do it, and why is it important? Don’t recite your mission statement when giving your elevator pitch. Let your audience know the impact and importance of what you do. What makes your organization unique? Come up with some key words and talking points. Make sure everyone is consistent in their messaging. Remember to revisit your pitch periodically (maybe once a year) to make sure it’s still relevant. Engage with the person/people you are talking to and tie what you do with their interests. Find a way to tell a story. If appropriate, initiate a call to action. Give the person your business card and ask them to call you for more information or let them know how they can donate or volunteer. Remember that you are always an ambassador for your organization and how you represent yourself reflects upon the organization.